This one is easier to date. Though the postcard is stamped 1932 on its reverse side, the photograph was taken some years earlier, probably about 1927 before the incorporation with Brighton. 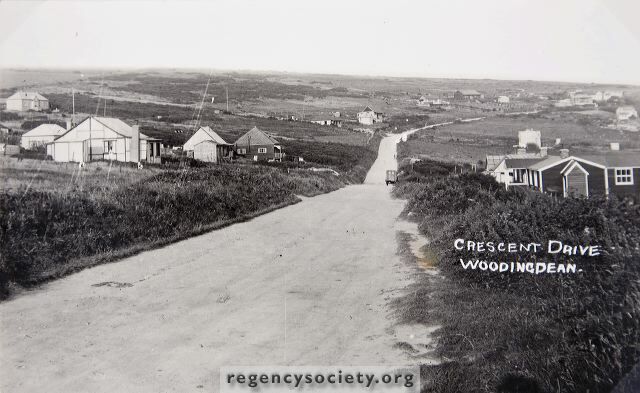 In detail it does not differ much from the large photograph on the previous page having been taken from nearly the same position and again it emphasises the large area of land which comprised each plot in this outlying part of Woodingdean.